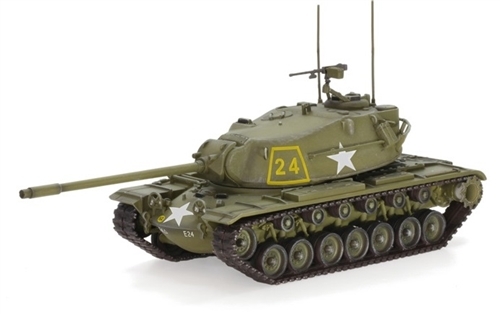 To date, Dragon has produced the widest array of military replicas in 1:72 scale. They've also released several pre-built 1:35 scale vehicles. Met with critical acclaim, you can certainly look for more 1:35 scale products over the course of the year. Known officially as the M998 Series and nicknamed the HUMMER, this technologically advanced 1 1/4-ton, 4x4, multipurpose vehicle answered the armed forces' need for superior mobility in a tactical field environment. The Sturmgeschutz III (StuG III) assault gun was Germany's most-produced armored fighting vehicle during World War II. It was built on the chassis of the proven Panzer III tank, replacing the turret with an armored, fixed superstructure mounting a more powerful gun. In preparations for the Ardennes Offensive in the winter of 1944, around 10 Ausf Gs were converted to resemble American Gun Motor Carriage M10 tank destroyer. The conversion was done by welding additional metal sheets to the turret and hull along with application of US Army camouflage and markings.